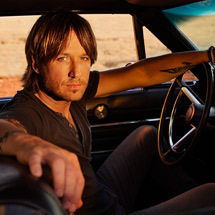 Hurry, there’s still time to enter to win tickets to see Keith Urban on 8/10/2014. Tickets are sponsored by Rothrock Motors. Categories: Concert, Contests, Pennsylvania | Tags: Bethlehem, Concert, Keith Urban, Keith Urban Free Tickets, Keith Urban Ticket Contest, Mid Atlantic Region, Mid Atlantic States, Mid Atlantic Travel, Musikfest, Musikfest 2014, Musikfest Contest, Pennsylvania | Permalink. 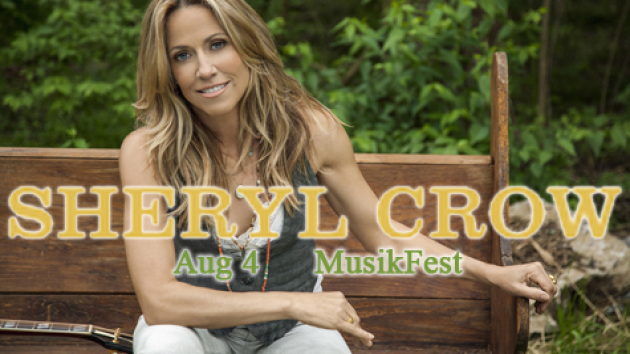 Radio Station 100.7 LEV presents Sheryl Crow on the Sands Steel Stage at Musikfest Monday, August 4th and all this weekend, they’re giving you a chance to win tickets to her show. Tickets for Sheryl Crow’s show are sold out, so this may be your last chance to get tickets. It’s a night of nonstop hits when nine-time GRAMMY Award winner Sheryl Crow performs at the Sands Steel Stage at Musikfest Mon., Aug. 4, at 8:30 p.m.
With more than 35 million albums sold worldwide and numerous Top 10 hits, Crow is one of the most popular musical artists of the past two decades. Her most recent release, 2013’s Feels Like Home, debuted at No. 7 on the Billboard 200 and No. 3 on the Billboard Top Country Albums charts, earning her nominations for the Academy of Country Music’s Female Vocalist of the Year and American Country Awards’ Female Artist of the Year award. Categories: Concert, Contests, Free Admission, Pennsylvania | Tags: Concert, Free Musikfest Tickets, Free Sheryl Crow Tickets, Mid Atlantic Region, Mid Atlantic States, Mid Atlantic Travel, Music, Musikfest, Pennsylvania, Radio Station 100.7 LEV Tickets, Sold Out Sheryl Crow Tickets | Permalink. Musikfest is reported to be the largest non-gated music festival in the U.S. Since 1984, thousands of music lovers have headed to Bethlehem, PA to listen to hundreds of free shows across the 10 day event. Each night, the Steel Stage features nationally-known recording artists. •There are 14 stages; 11 are completely free and require no ticket. 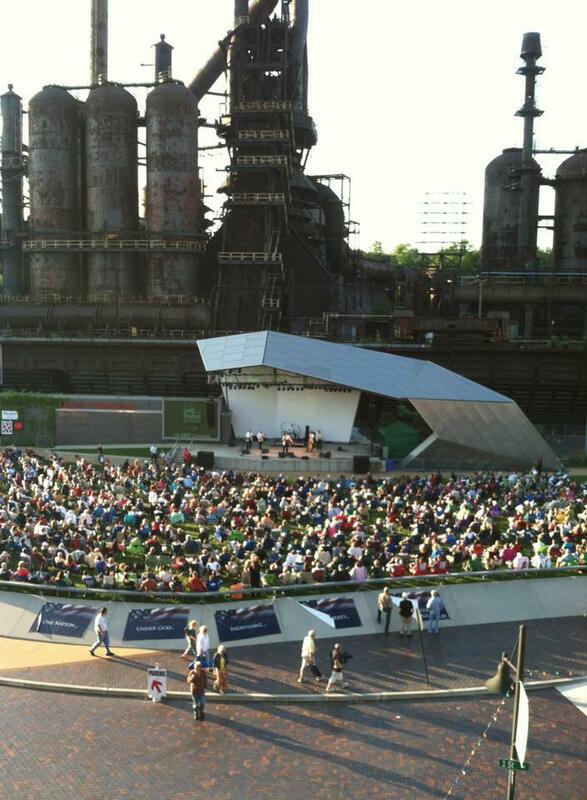 •Only the shows at Sands SteelStage and PNC Performing Arts Series require tickets. •Almost every conceivable musical genre is represented. •Stages are called “platzes,” a homage to the city’s Germanic heritage (platz being German for “place”). Headliners perform on the Sands SteelStage and PNC Performing Arts Series which require tickets. Categories: Concert, Free Admission, Pennsylvania | Tags: Alan Jackson, Concert, Family Travel, Jason Derulo, Keith Urban, Kids, Mid Atlantic Region, Mid Atlantic States, Mid Atlantic Travel, Music, Music Festival, Musikfest, Musikfest Headliners, Musikfest Performers, Sheryl Crow, Steely Dan, The All-American Rejects, The Avett Brothers, The Moody Blues, Weezer, ZZ Top | Permalink.